Amazon has released an iPad app for use with its Cloud Player online music storage service. The service, which launched last year, allows users to store their music collections online and either play them directly from the cloud or download for offline play. The free Amazon Cloud Player app is already available for Android, iPhone and iPod Touch but now iPad and iPad Mini users are finally getting their own tablet-specific version. It's not only compatible with mobile devices: Samsung TVs, Roku and Sonos players will also stream tunes from Amazon Cloud Player. "Our goal is to make Cloud Player the most widely compatible cloud playback solution available, giving our customers the ability to buy their music once and enjoy it everywhere," said Steve Boom, VP of Digital Music for Amazon. 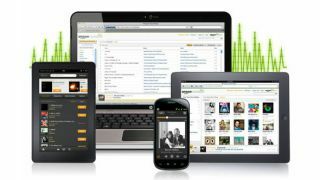 Users of the service can store all Amazon-bought music and up to 250 of their own tracks for free. Tune-o-philes who pay an extra US$24.99 per year to can import up to 250,000 tracks. That's about 521 days' worth of non-stop three-minute pop songs, value fans. Thinking of using the service? Check out the Tech Radar tutorial on how to float your tunes into Amazon Cloud Player.